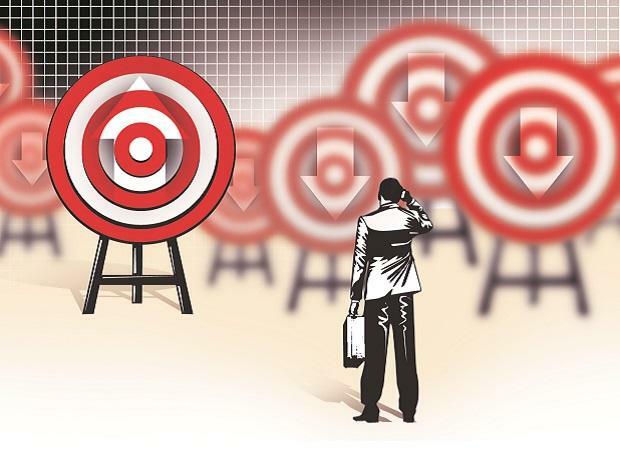 Taking a contrary stance from peers, the economists at SBI Research see the government meeting the fiscal targets this year and the same is likely to pegged at Rs 6.72 trillion or 3.2 per cent of GDP next fiscal year, assuming a moderate nominal GDP growth of 11.7 per cent, says a report. "For FY20, fiscal deficit is likely to be Rs 6.72 trillion or 3.2 per cent of GDP, assuming a modest 11.7 per cent of nominal GDP growth," SBI Research said in a report Wednesday, adding for FY19 the fiscal gap will be met at the budgeted 3.3 per cent. The government's gross market borrowing in FY20 will be Rs 6.50 trillion while net market borrowing to be at Rs 4.13 trillion, less than FY19 estimate of Rs 4.20 trillion, the report said. To keep the redemptions in check, the report estimates switching of securities worth around Rs 30,000-35,000 crore, which would bring in gross borrowing near the FY19 budgeted target of Rs 6.05 trillion. "We are expecting minimum buybacks in FY20 as the government may be carrying forward a minimal cash balance into FY20," it said. The government has also dipped into small savings scheme to meet a part of its expenditure in FY19. As against the budgeted amount of Rs 75,000 crore (revised later to Rs 1 trillion), borrowings through small savings have reached Rs 45,396 crore by November 2018, it said. It said said a large funding through the National Small Savings Fund (NSSF) is possible owing to interest gap between bank deposits and the small saving rates. The gap between the small saving interest rate (average of PPF and Sukanya Samridhi accounts rates) and average term deposit of year maturity being offered by banks still remains around 98 basis points. "However, this may make it difficult for banks to reduce deposit rates," it said. In the past few months, with deposit growth significantly lagging credit growth, banks have been increasing deposit rates to avoid deposit flight. For the fortnight to January 4, 2019, on an annualised basis, the aggregate deposits grew 9.9 per cent or Rs 10.85 trillion and advances rose 14.5 per cent or Rs 11.85 trillion. "Such widening gap between deposit and credit growth requires build up of liquidity, which has to be met through the banking channel since in the event of no buyback of securities and RBI not doing aggressive OMOs, the banks would have to manage liquidity by focusing on deposit growth," it said, adding next year may see a hardening of interest rates. For FY20, the aggregate borrowings by the states is likely to be around Rs 5.5 trillion and net borrowing around Rs 4.1 trillion.